The Economic and Financial Crimes Commission, EFCC, has continued to receive accolades on fighting corruption in the system, as well as, ridding Nigeria of economic crimes, and financial crimes in the country. This commendation was made by Secretary-General of INTERPOL, Jurgen Stock, during a visit to EFCC Headquarters in Jabi, Abuja, yesterday. Stock who was received by the acting Chairman of the commission, Ibrahim Magu, said that; “Working with EFCC will help in building a strong network in the fight against corruption across the globe,” he said. According to Stock, as reported by Vanguard, “the fight against corruption will help in the fight against terrorism as the main source of terrorism financing comes from corruption.” He emphasizes the need for collaboration between international law enforcement agencies in the fight against corruption, stressing that, Interpol was establishing a link with the EFCC in achieving the mandate of the anti-graft agency. The acting chairman of the commission, Mr. Magu, while expressing delight at the visit, commended Mr. Stock for finding time out of his busy schedule as the Secretary General of Interpol, to visit the EFCC, stressing that, corruption had become an organised crime in Nigeria, saying it needed a concerted effort within and outside of the country to combat it. “EFCC and Nigerians, in general, are delighted with the visit by the Interpol, and this visit gives the Commission hope in partnering Interpol,” he said. Magu further gave assurances that the EFCC will remain unrelenting and resolute in its fight against corruption. 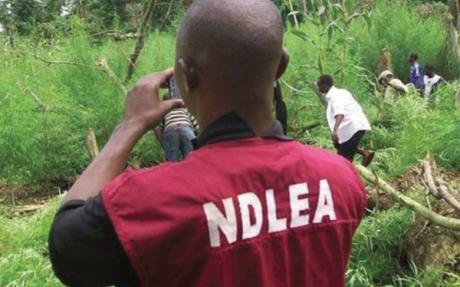 “The EFCC deals in partnership with other countries in order to address the issue of terrorism financing,” he said. He further highlighted the importance of the exchange of information, stressing that it was key to winning the fight against corruption, money laundering, and terrorism financing. 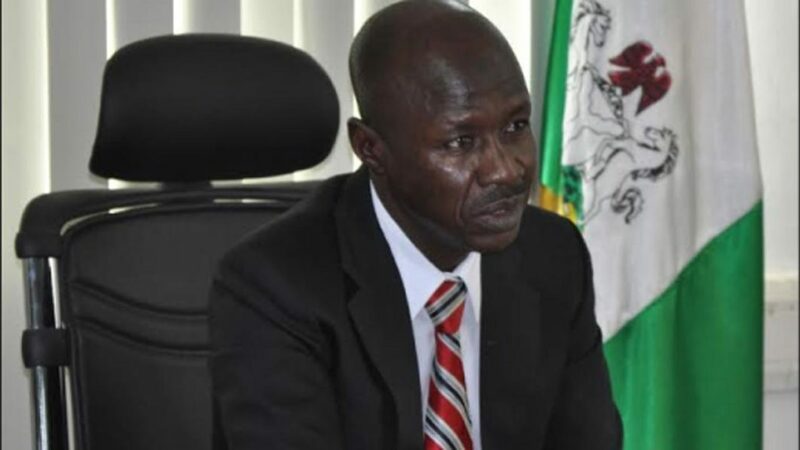 “Other countries need to support EFCC in achieving our goal of ensuring the repatriation of funds stashed out of the country by corrupt people,” Magu said. The highlight of the visit was that the delegation from the Interpol was taken on a tour around the new EFCC Head Office Complex.